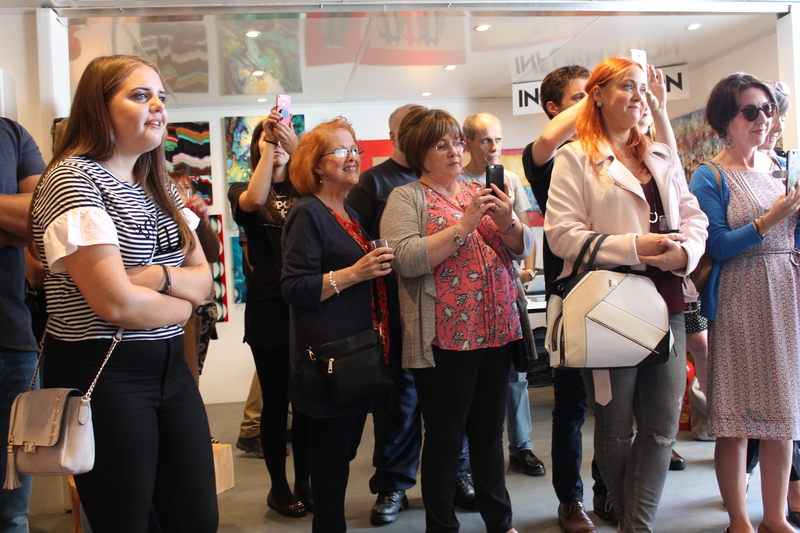 Huge thanks to everyone who joined us for the announcement of the winner of the Liverpool Art Fair 2017 Billy Wilson People’s Choice Award, on Wednesday 23rd August. Thousands of visitors got involved and voted for their favourite artwork in the first People’s Choice award. 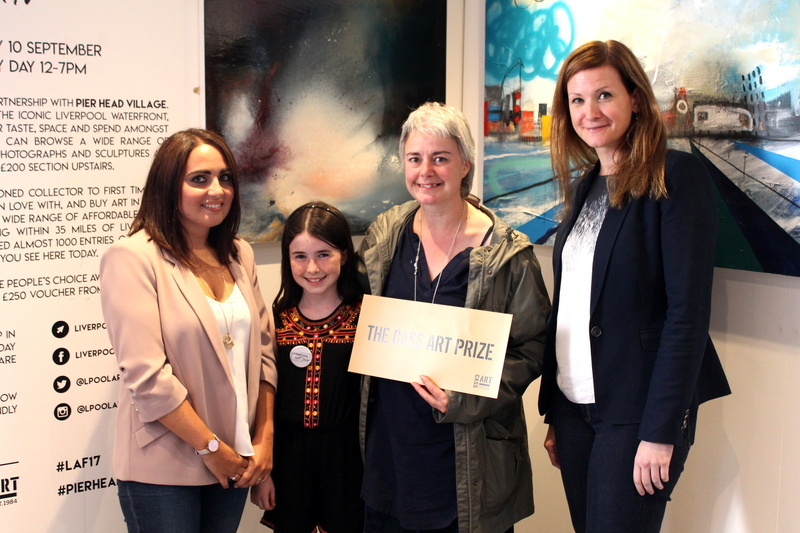 The winning artist was announced as Hazel Thompson, who was awarded with a voucher from Cass Art for £250 worth of art materials! Billy Wilson was the owner of our previous venue, The Gallery Liverpool on Stanhope Street, and an enthusiastic supporter and advocate of both Liverpool Art Fair and the city’s art scene as a whole. He very sadly died last June so we decided to set up this award in his memory, continuing his support of local artists in a small way. We were delighted that two of his daughters could be present to give Hazel her prize. The 6th annual Liverpool Art Fair is currently taking place as part of the Pier Head Village in a purpose built art gallery on Liverpool Waterfront, giving over 100 talented local artists the opportunity to showcase their work to a huge audience of locals and tourists and you the chance to take home some stunning art. This entry was posted in Liverpool Art Fair 2017, News and Announcements, Peoples Choice Award and tagged Hazel Thompson, Liverpool Art Fair, Local Artists, Peoples Choice Award. Bookmark the permalink.